The Red Bull colors found across all of their products are Red Bull Red, Deep Bull Blue, Sunbelt Yellow, Another Blue, Outrageous Orange, Gray, Soaring Blue, Gray Blue, Light Gray, Deeper Blue, Red, Almost White and Almost Black. 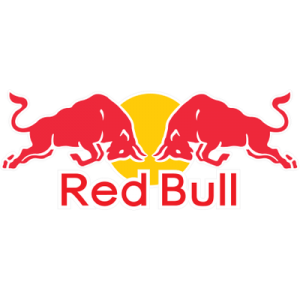 Use this Red Bull brand color scheme for digital or print projects that need to use specific color values to match their company color palette. Find the rest of your favorite brand color codes on this website.